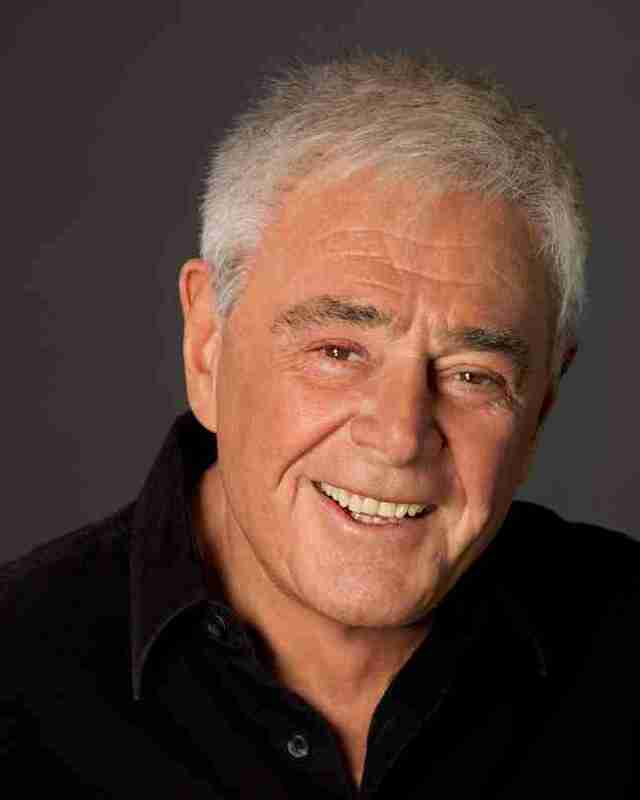 It’s often said that Richard Donner is one of the all-time great Hollywood directors. This is certainly true. Donner cut his teeth in advertising and television, working on some of the most iconic shows of the 1960s and 1970s (The Twilight Zone, The Man From U.N.C.L.E., Gilligan’s Island). However, his career took a major leap forward with the big screen release of The Omen in 1976, going stratospheric when he directed Superman in 1978. Donner went on to direct a variety of classic movies from the Lethal Weapon franchise to Scrooged and The Goonies. Few directors have been able to have a career with such wonderful variety and he’s a master craftsman, able to turn his hand to any genre from action to drama and comedy. I have always been a great admirer of Richard Donner’s work and it was an absolute delight to catch-up with him to discuss his distinguished filmmaking career. He was a pleasure to talk to – funny, open and self-deprecating. In this first part of my interview, we discuss his early career in television and his films, The Omen and Superman. I hope you enjoy this as much as I did. Looking at your career, you started out as an actor and you were told by Martin Ritt that you should become a director – how did that come about? Well, I was an actor for him. I got into an argument with him and he said ‘the problem is you can’t take direction, you ought to be a director’ and I said ‘easier said than done’ and he made me his assistant on the next show. It was very wonderful. You moved into TV and you’ve directed some of the biggest shows in history – Kojack, Perry Mason, The Twilight Zone including Nightmare at 20,000 Feet. What was it like going from job to job like that? That was the beauty of it in a strange way because I didn’t get put into a corner of one genre. I was very, very fortunate that I was able to go from comedy to drama to soap operas to just about everything. It was terribly exciting because everytime you got a new job on a new show it was a vibrant step in your career. A lot of guys got stuck in one series or one type and hey, they did very well. My fortune was that I was never pinned down to any one type, so each show was so very exciting. A little movie every week. I started with a western and somebody saw that – I got a show called The Loretta Young Show and somebody saw that and it got me on another show. It was wonderful, a total variety. A year or so ago I watched one of the old Man From U.N.C.L.E. episodes that you directed, where you had a cameo. (Laughs) Very possible! I don’t remember! You made film through the 1960s and 1970s, but it was really The Omen that set you off on your career. It’s a very visual horror film. Was that a very specific choice coming from TV – wanting it to look like a big movie? The thing is – The Omen had been around for a long time. It was called The Antichrist and eventually every studio in town tuned it down. When I read it, the reason I thought they turned it down was because it was a horror film and if they turned it into what I believed was a mystery-suspense-thriller and got rid of the cheesy cloven hoofs and devils, that maybe it would have a chance. My thoughts were echoed by Alan Ladd Jr who was then Head of Fox Studios, who said make it and do a mystery suspense and you’ve got a deal. So, the look of it – sure! Since it was a big opportunity for me, I really carefully thought out the visualisation and the whole approach to the film quite different to anything that I had done before. It was a great script. And a great cast as well. We never would have got that cast if it was a horror film. It was approached, as I say, as a thriller and we were so lucky to get that cast. It was an amazing cast! Every single person from David Warner to Gregory Peck to Lee Remick. Oh my god, you go through that cast – I don’t remember them all now, but it gave the picture a sense of class. Were you surprised by the film’s ultimate success? Sure as hell! Yeah of course. You never know what you’ve made and you never know how it’s going to accepted and what’s going to happen. But when i saw it with my first audience in I think it was Fox Studios, in Soho Square, and I saw the audience reaction I said, ‘Oh my god, I think we’ve got something’. The audience was shocked, committed and involved. Were you ever tempted to go back and make one of the sequels or did you just think, I’ve made The Omen movie I want to make? At the time my career at that point was television, when they started to do a second one I stated to write on it with them and I got a call from the Superman producers and I went to the producer of The Omen and explained the offer I had. I told him I was going to leave and he was very generous about it. Superman has now become the superhero film that everybody aspires to make. What was your vision going into that? That’s terrific – you should be my agent! I was brought up on that as a kid. The vision was quite self-apparent and as we got into it and started to rewrite it. In my mind we were kind of making three separate films. One was the look of Krypton, one was the look of Smallville and its best Americana – Norman Rockwell. I had a brilliant production designer named John Barry. And the third one was Metropolis. The cut to him getting out of a cab with horns blowing in the middle of what was 42nd Street and the Daily Planet. There were three separate visualisations in my mind, carried through by baby Superman, young Superman and then Superman. Of all the brilliant things about the film is the John Williams score. What was it like hearing that for the first time? It brought tears to my eyes. John Williams, dear John Williams. If you listen carefully, I tell everybody this, in the opening credits sequence when the names scream up across the sky and when Superman comes up, I swear John Williams made Superman. It was brilliant. It was brilliant in every note that he wrote there after. He is an amazing man. A sensitive, wonderful guy. Another amazing cast. What was it like assembling a cast like that? It was a an extraordinarily tough movie to make. The mechanics of it. There were no computers available to us. We had to use very old fashioned techniques and try to upgrade them and visualise them and so I surrounded myself in both California and London with the best casting people I could possibly find and the fulfilled their jobs far beyond the expectations I had. They would narrow things down to about five to ten people and it became tough to pick the best of the five because they were all so wonderful. As far as the featured people – they just fell into place. Christopher Reeve fell into place, of course we had Brando and Gene Hackman, they were committed and the English cast when we were over there. I couldn’t believe the cast they were submitting to me – the best that England had to offer at the time. What was it like? Quite honestly, a day on the beach. It’s 40 years since it was first released. Are you shocked that people are still talking about it and still love it? I’m totally shocked. Totally. I mean I can’t believe it. We made a movie and tried to be traditionalist. The genius behind it was a man named Tom Mankiewicz, the writer, a man who passed away much too soon and we were very great friends. Tom saw the problems I saw and the challenges that we both saw and he brought them together. I thought it would be a movie. We didn’t get much co-operation from the producers, so I never got the opportunity to see it with an audience before we released it. It was terrible. They were terrible to us. The first time we saw it with an audience, well I knew we had a bit of a hit but I never released that 40 years later I’d be talking to you about it. The second part of the Movies In Focus Richard Donner interview is coming shortly.